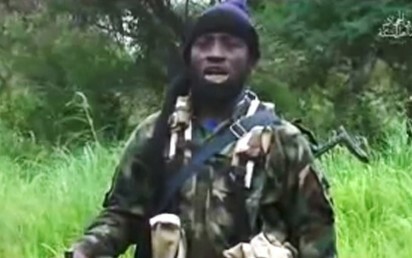 A 32-year-old former Boko Haram Commander, Rawana Goni, has appealed to the Nigerian military authorities to allow him make a phone call to the elusive leader, Abubakar Shekau and at least 137 other terrorists to make them surrender. Goni, who is undergoing rehabilitation at a military detention camp in Maiduguri, said this in an interview. The former Boko Haram commander is an indigene of Bama in Borno state. He surrendered to the military in Cameroon after escaping from Sambisa Forest eight months ago. He claimed to have held several positions in ten different cells of Boko Haram in Sambisa. He said the last position he held was as the Chief officer of Dispute Resolution for the group. He explained that many militants came to him to settle problems ranging from family matters. He also reconciled Boko Haram factions. “I joined Boko Haram because of the condition I found myself in the last five years. When the insurgents invaded Bama town, I ran with my family to Cameroon thinking I was in a safe destination. But on reaching Cameroon, I was shocked to realise that I brought myself into another Boko Haram camp. By that time, I knew I would not survive without joining the group. “Many of the prisoners were exposed to hard labour while some were used as guinea-pigs at shooting range by new arms handlers among Boko Haram,”he said. “Nothing happened to him. He broke his leg five years ago while riding on a horse. But he had since recovered. Any one saying Shekau is sick is only deceiving himself. We used to communicate through radiophone but not any more,”he said. “My 137 boys are on standby to hear I am still alive and I can assure you they will run out of Sambisa Forest and surrender to the military. I once told them to surrender and they said we shall all get killed.But I told them that I will surrender and they said if nothing happened to me, they will all come out,” he said.